These Terms of Travel include certain limitations and exclusions in respect of our liability for death, personal injury, financial loss and damage to property, even if caused by our negligence. If you have any query or other concern, please contact our Head Office (Telephone: 083 878 3862). You will be contracting with Rooskey Frazer & Co Ltd for travel-only bookings. If you have any complaint in respect of services provided by us please bring it immediately to the attention of the management on the spot. If it is not then resolved to your satisfaction you should contact our Head Office promptly giving full details and if possible a daytime telephone number or e-mail address, so that we can make a timely and thorough investigation. You may contact us by telephone 083 878 8362, email info@carlingfordferry.com or write to us at Scenic Carlingford Ferry, Rooskey Frazer & Co Ltd, Greenore Port, Greenore, Co Louth, Ireland. Payment for all bookings is due at the time of booking, unless we state otherwise. If payment is not made when it is due, we will be entitled to cancel the booking without notice. Payment may be made by major credit or debit card on-board or on-line – a handling charge may apply to all card transactions. Payment may be made by cash or cheque, supported by a valid cheque guarantee card. Payments can be made on-board or on-line. 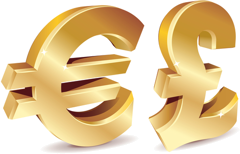 The prices shown in Euro on our website or in our brochures are applicable only for bookings made in the Republic of Ireland. Prices quoted for ticket purchases made on-line may vary from prices quoted elsewhere and the company reserves the right to charge different prices for on-line sales and on-board sales. We reserve the right to levy a fuel surcharge in the event of increases in fuel cost prices. This would result in an additional charge to the prices shown on our website or in our brochures. Children under the age of 16 must be accompanied by a responsible adult. Children under the age of 14 on the upper decks must be accompanied by an associated adult. Your booking is valid only for the departure dates and times stated unless otherwise expressly stated. If you travel on a booking purchased at a lower price than that properly chargeable for the particular journey, we will be entitled to require payment of a surcharge prior to embarkation. We will seek to provide you, your luggage and vehicle with the journey shown on your ticket, though ferries, sailing times/dates and destinations may be affected by weather conditions or port closures, or may be changed (at our discretion) by operational requirements. We will try to arrange a suitable alternative ferry crossing if by reason of operational requirements we cannot provide the anticipated service within a reasonable time of the scheduled sailing. We will refund the fare if we cannot arrange a suitable alternative journey or if you do not wish to take any alternative journey offered by us. Refunds for lost or stolen tickets are solely at the discretion of management. You must contact the office during normal working hours at Scenic Carlingford Ferry, Greenore Port, Co Louth to make such a claim. Published schedule is subject to alteration without notice due to weather conditions and other circumstances. We require you to accept that we are entitled at our discretion (subject only to refund of the fare) to refuse to provide transport for any person, luggage or vehicle for any reason related to safety or security or in the interests of other passengers or to ensure compliance with immigration, customs, health or other applicable regulations. You must comply with all safety and security regulations and notices and any instructions given to you by our employees or agents. We have the right to request to search your vehicle, you have the right to refuse, however if you do, we have the right to refuse access to the vessel. You must not bring with you dangerous goods, firearms or animals without our prior permission, compliance with all applicable regulations and the obtaining of any relevant licences. We require you to accept that we and any relevant port authority are entitled to carry out searches of passengers and vehicles pursuant to any statutory or other legal requirements. Refusal to comply with a search will result in not being permitted to travel. All animals including dogs must remain within the vehicle they are being transported in at all times. We require you to notify us before or at the time of disembarkation in respect of damage to, or loss of, luggage and/or vehicle. If you do not notify us, you will be presumed to have received your luggage and vehicle undamaged. We shall have no liability in respect of loss of, or damage to, cash, negotiable securities, gold, silverware, jewellery, ornaments, works of art, electronic equipment or other valuables. If luggage is left with us after your journey, we may furnish same to An Garda Siochana or after a reasonable period sell it and need only account to you for the proceeds (less storage charges and costs of sale) if you make a claim within 12 months of the journey. If for any reason (unless the cause is a fault on our part) you, your luggage and/or your vehicle do not disembark at the end of the journey you and/or they may be returned at our discretion to the port of departure or taken to another port with you being charged the appropriate fare in each case. We require you to reimburse us in full for any fines, repatriation or other removal costs, detention costs and other related expenses which we bear or incur by reason of your failure to possess all the documentation required by immigration, customs, health or other applicable regulations. Park on arrival at terminal behind other vehicles in traffic queue. Loading of ferry boat will normally be in the following order: Left Hand Lane, Right Hand Lane, Heavy Commercial Vehicles will be loaded on the centre lanes. Drive slowly on the slipway and on the ferry boat. Put on hand-brake and turn off engine after parking. Do not open car doors until all traffic has been loaded. Remain in car until fare has been collected or ticket has been validated. Have exact fare or pre-paid ticket ready and ensure you obtain printed ticket if paying on-board. Commercial vehicles: Articulated lorries are not permitted. Our liability in respect of death or personal injury shall in no case exceed the appropriate limit under the Athens Convention. Our liability for loss of, or damage to, property (regardless of where the loss or damage may occur) shall in no case exceed an amount equal to the respective limits under the Athens Convention. Please see clause 7.6 for further restrictions on our liability for certain items; we shall be under no liability to you (or other people travelling pursuant to a booking made by you) for any loss which does not arise naturally in the ordinary course unless you have notified us in writing prior to or upon making the booking of special facts or circumstances relevant to any such claim and we have knowingly accepted the additional risk; we shall be under no liability to you at all if the failure to perform or improper performance of any contractual obligation is caused by: (a) your own fault or the fault of anybody else included in your booking; or (b) a third party unconnected with the provision of any service contracted for and the failure is unforeseeable or unavoidable; or (c) (i) any unusual and unforeseeable circumstance beyond our control, the consequence of which could not have been avoided even if all due care had been exercised; or (ii) an event which we or any supplier of services, even with all due care, could not foresee or forestall. The Athens Convention relating to the Carriage of Passengers and their Luggage by Sea of 1974, as modified or re-enacted, will apply in respect of each booking and journey by sea. Particulars of the Athens Convention are available from our Head Office.